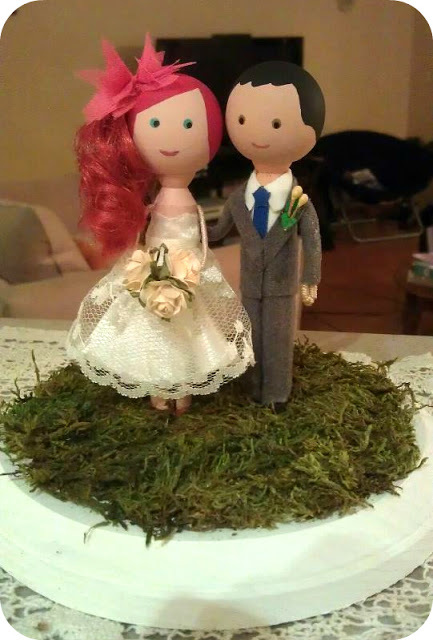 I was recently browsing the web when I came across Shona's blog and saw the gorgeous cake topper she made for her wedding. Aren't they cute? I instantly thought of the Peg Doll Kit's in the shop. They are only $13.95 for a pack with two dolls. 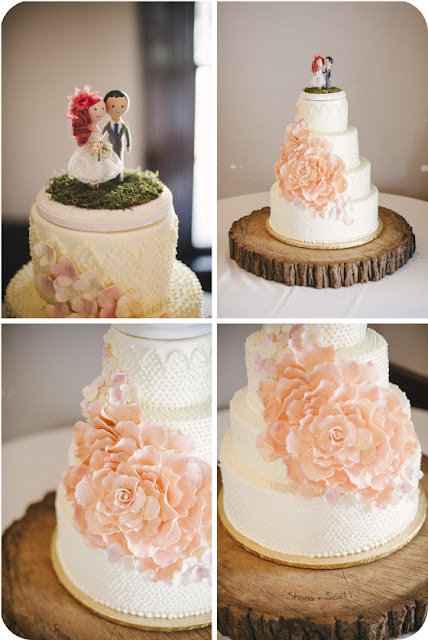 It's an easy and affordable way to add a personal and fun touch to your special day. Shona used a tutorial from Going Sew Crazy with some changes. She used jewellery wire for the dolls arms ( included in kit) and winged the grooms suit. Big Thanks to Shona for allowing me to share them with you!